Sea Lions are marine mammals classified as pinnipeds which means that they feature winged feet. Amazing photo gallery about Sea Lions. Sea Lion Information. The Steller Sea Lion is the largest of them all and lives in the Northern Pacific, especially around Alaska. Sea Lion Conservation. Cleaning up the environment is a huge part of the conservation efforts for Sea Lions. Facts about Sea Lions, California Sea Lion, Steller Sea Lion, Galapagos Sea Lion. There are actually seven species of Sea Lions in the world, but people tend to lump them all into one category. They all belong to a group of animals known as pinnipeds. Sea Lions are very interesting animals that can end up being extremely large. The males are much bigger than the females which helps them to gain the ability to mate with them because the females will look for the largest males out there to be with. Sea Lions are found in bodies of water all over the world, but not in the Northern Atlantic Ocean. Many researchers find this to be a very interesting fact. Yet they can’t pinpoint reasons why this is the case. The temperatures are compatible with where some Sea Lions live. There is also plenty of the food that they consume found there. Some species of Sea Lions live in the sub arctic areas while others live in warmer climates including California. They have long torpedo shaped bodies that are well designed for movements both in the water and on land. All species of Sea Lions are considered to be mammals. This is because they give live birth to their young and the females also nurse the pups with milk they produce in their bodies. Sea Lions really only have two predators that are other animals – Killer Whales and Sharks. The threat that they pose depend on the areas where the Sea Lions live. When they have to go further out into the waters to find food then they are more likely to encounter such predators. Man has proven to be the biggest threat to the Sea Lion survival though for a very long time. We really only know the basics about Sea Lions including their anatomy and their mating habits. We do know that they are very social animals and that they have a variety of methods of communicating. Yet we really don’t know much about what those different types of sounds are used for. They often are found in extremely large colonies. For their protection they will stay very close together both on land and in the water. The big colonies though also have many sub groups found within them. It is common for Sea Lions to move from one sub group to another during various stages of their lives. 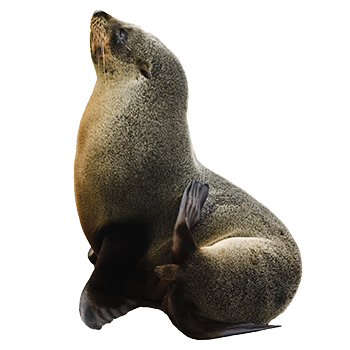 The Sea Lion is considered to be a pinniped which means that it features a winged foot. The Stellar Sea Lion is the largest of the 7 species. For example the males are more likely to be loners. When the larger colonies form again those females with offspring are more likely to stay together. Once the pups are about a year old they tend to form small sub groups as well. Sea Lions are considered to be highly intelligent animals. They have been used to teach tricks to for entertainment. They have also been trained to help the United States Navy with their in water needs. For the most part they are considered to be very timid but there have been some reports of aggressive attacks on humans. The males are extremely aggressive when it comes to earning the right to mate with females. The future is unsure for many species of Sea Lions. Years of them being destroyed by humans has really taken a toll on them. Environmental concerns continue to cause problems for them in their natural habitats as well. The fact that humans are also taking control over the waters where they once lived in peace is a huge concern. Even with conservation efforts in place there is still a great deal of work to be done if these animals are going to survive.